You know we love to bring you tips and tricks on Keitai – and this week we found that there's a new question playing on the lips of many smartphones users: how do you make calls using WhatsApp? We also found that people wanted to know "how do I clean ears?" and "how do I cheese Crota?" All valid we're sure, but let's focus on WhatsApp today. Want more good news? Well strap yourself in, because any calls made through WhatsApp won't eat into your voice minutes. As long as you have data left in your allowance, or are connected to a Wi-Fi network, calls are free of charge. Once the app is open there are a few ways to initiate a call, depending on the system you're using. Android users: You'll see a "calls" tab at the top of the app alongside side "chats" and "contacts." Head to "calls" and hit the phone icon in the top right to select a contact to call. Received, made and missed calls are displayed here, allowing you to quickly call someone back. You'll also find a phone icon within one-on-one chats. iOS users: For iPhone users the main tabs you require at the bottom of your screen are "Recent" and "Contacts." Your call list resides under "Recent," although there's no option here to call a contact that doesn't appear on the list. For that you'll need to head to the contact list within the app and select the person you want to talk to. Then hit the phone icon on their contact card to start ringing. You can also call a buddy from a chat window. Head over to the App Store (for iPhone users) or Google Play (if you're on Android) and then navigate to the app update section. On the App Store there's a handy tab at the bottom of the screen marked "Updates," while on Google Play you'll need to hit the menu icon in the top left and select "My Apps." 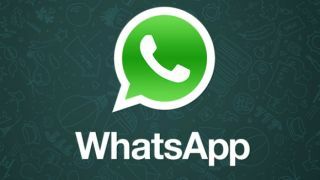 Any applications with pending updates will be displayed, so if WhatsApp is one of them, tap it and get your update on. Who could it be? Winston stared longingly at the Nokia 3310's 84 x 48 display. All the message said was, "Hello Winston. It's been a while. TB." He struggled to remember anything before his accident. Did he have family, friends... maybe enemies... he wasn't sure what he'd left behind when he was crushed by the mountain of BlackBerry Storms. He picked himself up off the cold, hard stone floor, took the Nokia 3310 in one hoof and continued down the corridor at a gentle canter. Creatures started to fill the shadows watching Winston's journey through the corridors, not that he noticed – he was too distracted racking his brain for who contacted him. How did the phone end up here, in this dark, horrifying place? It must have been a set up… but by who?! He needed to message back – the sender had put "TB" at the end. Obviously he legally had to reply as soon as possible, but his nerves overtook him. As he reached the large gate leading him back into the real world he squinted as the bright daylight shone through. He slumped to the floor to the side of the gate in the blazing sunshine, readying himself to reply. He hit the button. He typed the first few characters. Bt then he heard it again, that immortal sound…the single guitar composition from Grans Vals written in 1902 by Francisco Tarrega. That's it… it's the Nokia ringtone. Imagine for a moment that you went out for the day, but you forgot to take your phone with you. It's a scary proposition, and something we wouldn't wish on our worst enemy. This harrowing video highlights the danger we face every day. It can happen to anyone. So please, please, please whatever you do, don't leave home without your smartphone. The consequences aren't worth thinking about. We all know that early mobile phones were big, but perhaps you've forgotten just how big they were. This shot from 2007 shows off the "dramatic beauty" of the Panasonic P904i. Its main selling point was the fact it could fold in half – making it just half the height of the average human, standing a proud 3 foot 2 inches in what at the time was known as "crouch mode." It was the start of the truly mobile era. "The affordable, transportable cellular phone is here!" exclaims this General Electric ad from 1989. Among its headlining features is 30 number speed dialling, last number redial, electronic lock, light up keypad and... wait for it... adjustable volume control. Plus, there's an optional battery for true portable use (otherwise you'll be porting it from car to car). Yours for just $397 (approximately £4 million in today's money).